The average salary of an MBA graduate in Australia is high: upwards of $100,000. But, to be honest, stats around MBA salaries are unreliable as a guide to degree value. The main reason is that MBA students are a diverse bunch, each one at a different stage of his or her career. Salary stats for Australia's top ranking MBA universities show that MBA graduates can do very well. 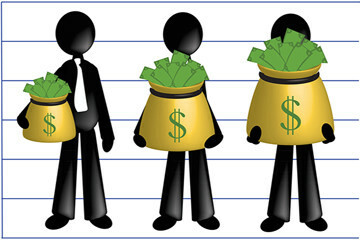 Average salaries are in the range $100,000 - $150,000. The measured salary boost (% increase in salary from the pre-study level) varies wildly, from 12% at the University of Queensland (UQ) to 81% at the Melbourne Business School (MBS). There are good reasons for these differences. UQ has an expensive MBA. Many of the student are older and likely to be employer sponsored. Consequently, while the students may get great benefits from the degree, they may often return to their existing job after finishing. MBS has a younger profile. Students start on relatively low salaries. While they experience a strong rise, much of the increase would have happened without postgraduate study. Good MBA provides a salary calculator for estimating the potential benefit of an MBA degree. The calculator allows you to choose a salary boost amount as part of a scenario analysis. How much your salary might rise depends on circumstances. With an MBA, you can expect an improvement in job performance and your ability to compete for promotions. If there are good opportunities open in your industry and location, your salary boost prospects are high. Strategic thinking in the workplace is one of the things MBA programs endeavour to teach. Strategy is also important in managing your education. Develop a good vocabulary around management during your studies (to help with communication, including future job interviews).